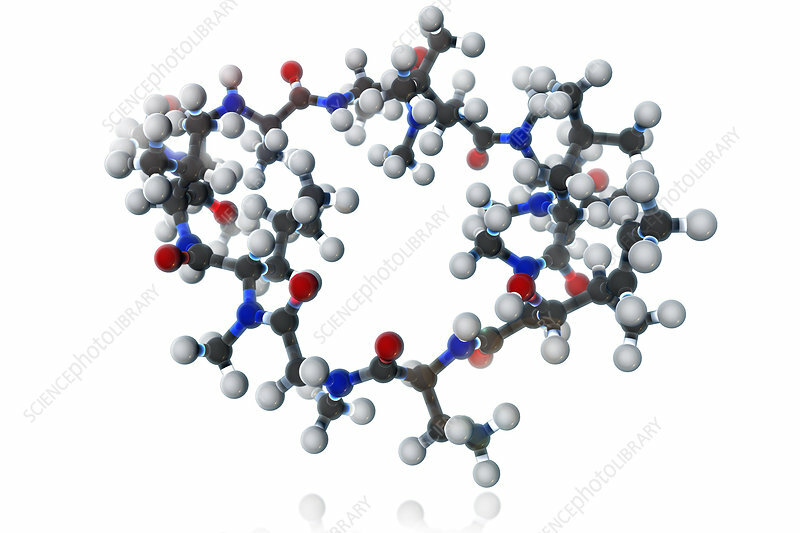 A molecular model of cyclosporine, an immunosuppressant drug given to transplant patients to prevent organ transplant rejection. Additionally, cyclosporine is commonly prescribed to treat dry eyes and a variety of autoimmune disorders such as psoriasis, atopic dermatitis, rheumatoid arthritis, Crohn's disease or lupus. Atoms are coloured dark gray (carbon), light gray (hydrogen), red (oxygen) and blue (nitrogen).